Two weeks ago, two major television-themed events offered intriguing insights as to the experiences Over-the-Top (OTT) executives, participants and industry leaders are having. At the June 14 “Tune In: The TV Summit 2016,” hosted by Variety at the Four Seasons Hotel in Los Angeles, actress Mindy Kaling (star of “The Mindy Project”) provided thoughts on binge-viewing and working with OTT company Hulu. During a discussion with reporter Elizabeth Wagmeister, Kaling described the feeling of serenity that arrives when one is no longer concerned with the TV ratings system. 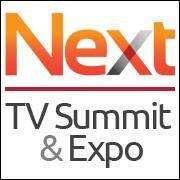 The following day, the Next TV Summit & Expo was held almost 400 miles north at the Hyatt Regency San Francisco. Hulu also had a presence at this gathering, where many OTT platform operators discussed user acquisition and preservation. Intensity certainly appears to be a key theme for companies in the OTT space – as well as the need for viewers to efficiently navigate an interface to locate TV and entertainment content.